RestoMod: a term coined by car enthusiasts who admire the old classics, but appreciate modern amenities. 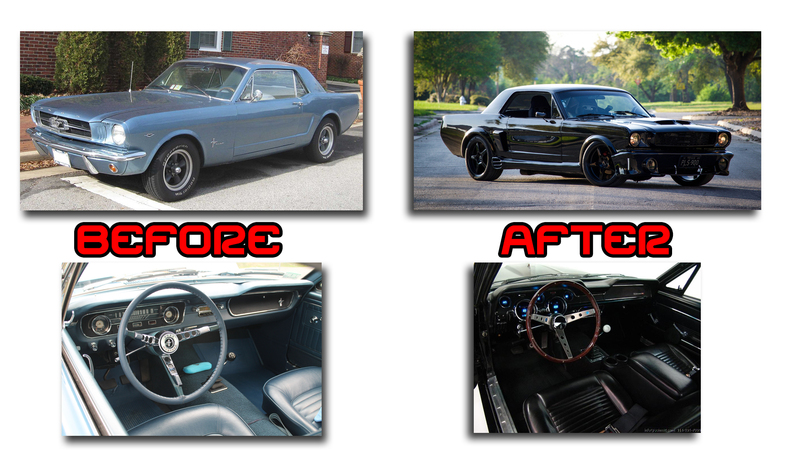 This is usually accomplished by taking an older vehicle (a 1969 Mustang Fastback, for example) and “restoring” all of its innards with modern components. Sounds like a motor enthusiast’s dream, right? 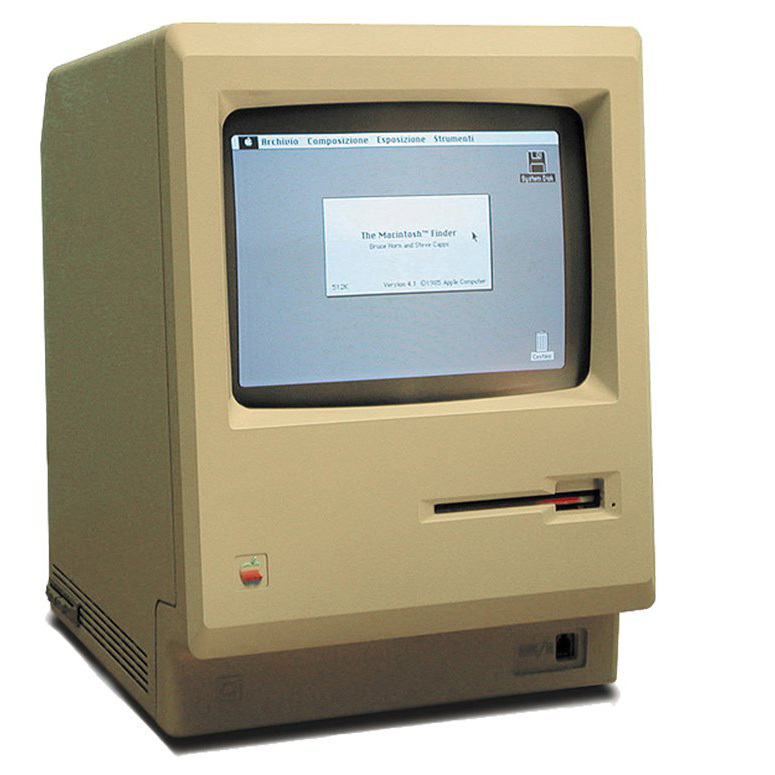 Now, what if, simply for the sake of nostalgia, someone fitted the original 1984 Macintosh computer with the latest 9-inch flat panel display, touch screen and 5 TB hard drive? Some serious retro techy would definitely be adding that to their collection. This is exactly what General Digital did with our VuePoint product line, though for the benefit of our customers rather than nostalgic longings. Forty years ago, we released VuePoint™, the world’s first gas plasma, flat panel, serial terminal with an integral touch screen. It evolved into VuePoint II™ in 1984, which had improved functionality in a much more compact, easy-to-build package. Then, in 2003, with much demand for an updated version, a third generation VuePoint III™ was developed and built, which is a drop-in replacement for VuePoint II. 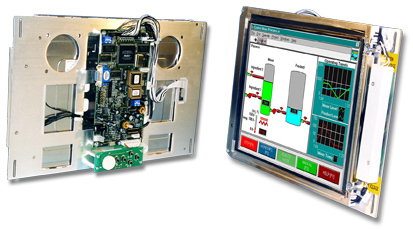 Much of our VuePoint I and VuePoint II product line is still in service today in the printing, flight simulation and power plant industries, and is being utilized by a whole new generation of users. Forty-four years ago, General Digital began life as an engineering company. In our earliest stages, we built or programmed whatever people needed. By 1977, after much tinkering and experimentation, we released the VuePoint, a monochrome gas plasma flat panel display with a serial circuit board and Z80 processor that could hold a whopping 8k of RAM. Though that seems minuscule by modern memory standards, at the time it was incredible. The unit could even be upgraded to 16k for an additional $250! That might seem expensive for such little memory, but remember, this is 1977. The original VuePoint could receive and store different serial commands on “pages.” Utilizing an infrared-style touch screen, users could change parameters on those pages and send serial commands back to the system. It became very popular for nuclear aircraft carriers, nuclear power plants, fossil fuel power plants, newspaper printing presses, sheet metal fabrication facilities and many other industries. In 1984, the second generation VuePoint II was created. 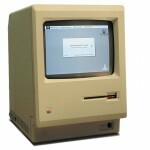 It featured the same size display, a newer processor, more RAM, and a much simpler and more efficient construction process. It enjoyed a long production run of nearly 20 years. In 2003, the VuePoint III was produced as a direct-fit replacement, and consisted of modern components. Now using an active matrix LCD display rather than gas plasma, the monochrome orange characters were recreated using the new color display to appear as though it were a gas plasma display. The unit mounts the same, looks the same, and operates the same as previous VuePoint generations, but with modern interior components. This makes VuePoint General Digital’s longest running product line. The philosophy of “restomodding” a display system has carried through to many of our products. Adding new, modern inner components while leaving the exterior, mounting, connectors and more identical to the original. 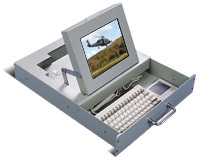 In 1992, long before anyone realized the benefits of such a design, we introduced the SlimLine™, a 2U high (3.50″), flip-up LCD monitor with an integral keyboard and pointing device, capable of passing military shock and vibration requirements. Though many “copycat” devices soon followed and are widely available today, General Digital goes to great lengths to produce ruggedized products built to last for years, while offering maximum flexibility. As a matter of fact, many first-generation SlimLine units are still in use by the U.S. Navy. We have a customer who has been buying the exact same monitor kit from us since 1996. The manufacturer of the original components is no longer manufacturing them and, 21 years later, the life cycle has reached its end. Our customer is now faced with a dilemma—engage our services to either reverse engineer their circuit board, or design a contemporary product with identical form, fit and function. Most other companies would simply shut them down, forcing them to buy the latest and greatest in their product line-up, which would result in having to completely re-engineer their facilities software and componentry. However, at General Digital, we do our best to work in our customer’s best interests, even if some modification is required. There’s often an associated engineering fee, and the engineering can take a little time, but we have you covered, as we’re the most familiar with the components and how they function. This makes General Digital recognized and respected worldwide, with a loyal customer base who depend on our high quality construction, configuration control, and engineering capability. We are well aware of customer constraints, particularly in regards to time, space and budget. We always do our best to meet or exceed their expectations while maintaining high quality products and services, and consistent configuration control. Though not always an easy feat, we make sure that our customer gets exactly what they ordered. If price is your priority, you’ll fall short. If speed is your priority, you’ll fall short. If a good fit is your priority, you’ll fall short. But if top quality components and construction are your priority, even if the form, fit or price aren’t ideal, in the long run, you’ll realize a far greater savings of time, money, and downtime.